I had the fortunate opportunity to join some local mom bloggers for a "behind-the-counter" tour of Winston-Salem's Papa Murphy's Take 'N' Bake Pizza franchise last week. Before last week, I'd never heard of Papa Murphy's. No, I'm not a mom, but I'm a blogger, and they let me tag along! Here's the deal: You go in, pick your crust (thin, regular, pan or stuffed), your sauce (there are over 8 to choose from), your toppings (all fresh) and watch them build your pizza. You pay & you take it home to bake. It's pretty amazing. 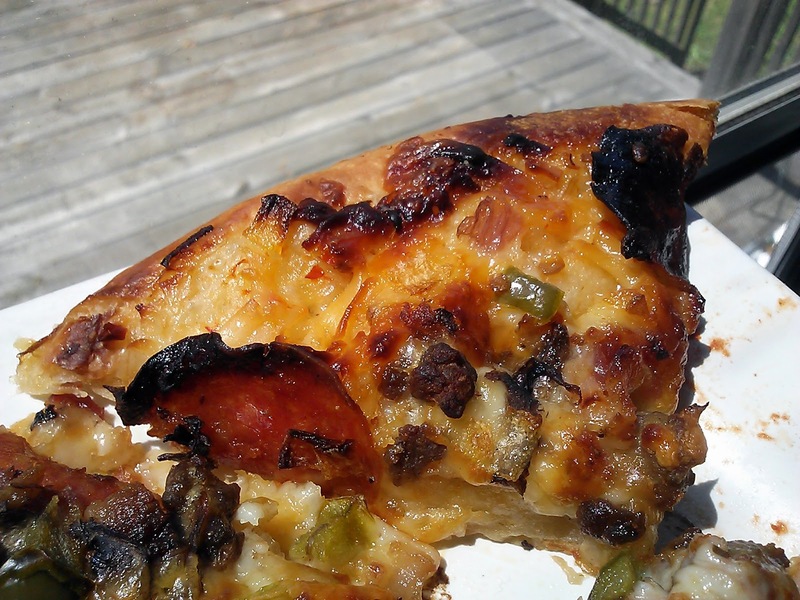 I always make my own pizza, crust and all (unless it's the chain that shall remain nameless) and I am a big supporter of local, independent restaurants. But let me tell you--franchisees of chain restaurants in your city are locals too. They depend on local dollars to come in and support them. This thought is driven home further when you meet the owners behind the restaurants. 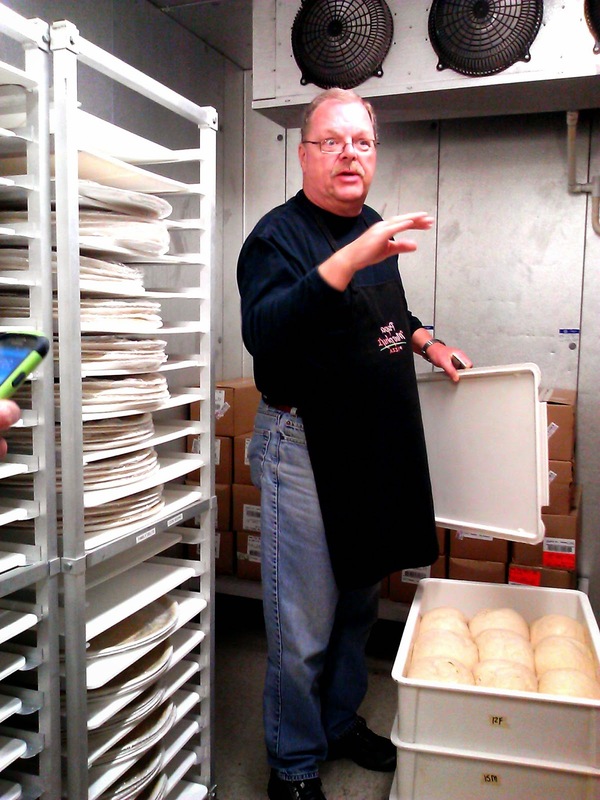 Gordon Butler is the man in charge at the Winston-Salem Papa Murphy's Take 'N' Bake Pizza. He is one of the most kind, passionate people I've ever met. He cares about the ingredients, the techniques and his employees. 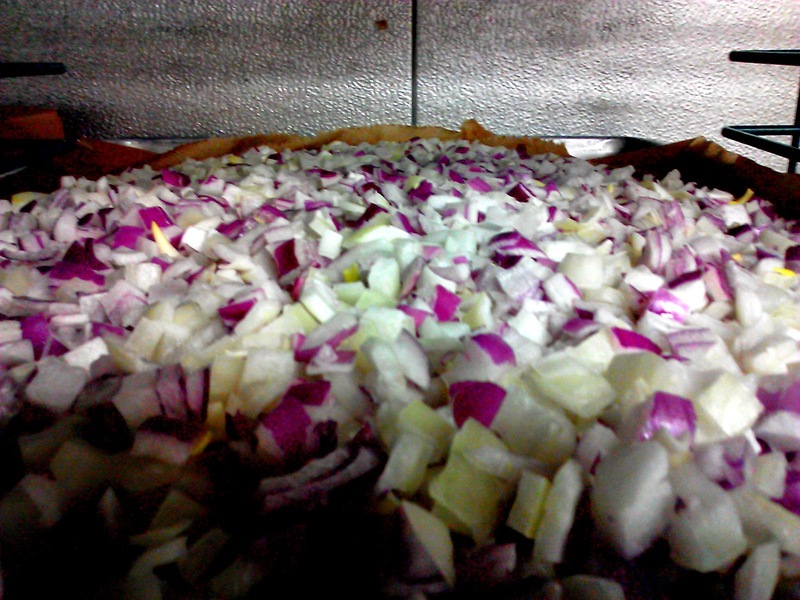 He even takes care to dry out the onions and mushrooms (which are chopped in-store) to make sure your pizza isn't soggy once it bakes. 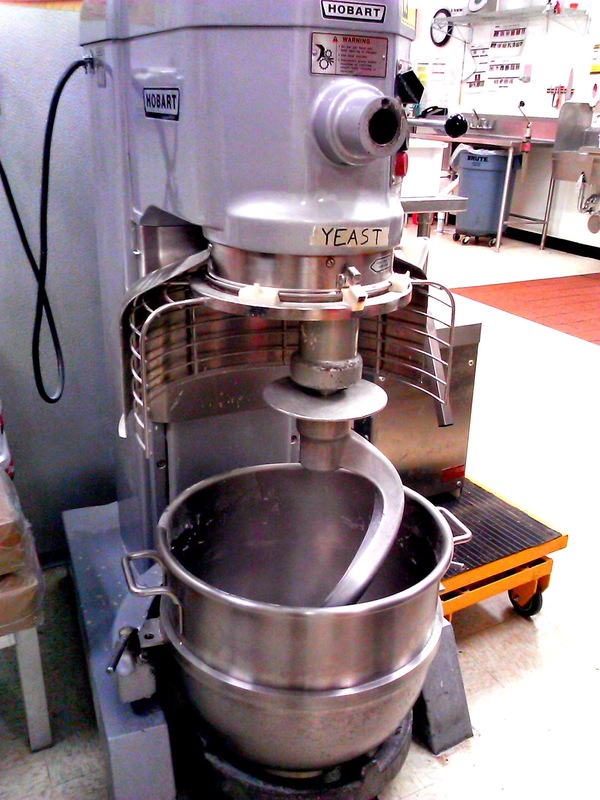 The biggest mixer I've ever seen. It stands at 5 feet tall. Really. So I've told you to support a local franchise, how passionate the owner is and how it all works, but how much does it cost?? You can buy a Mini Murph Take 'N' Bake for only $3. THREE. DOLLARS. 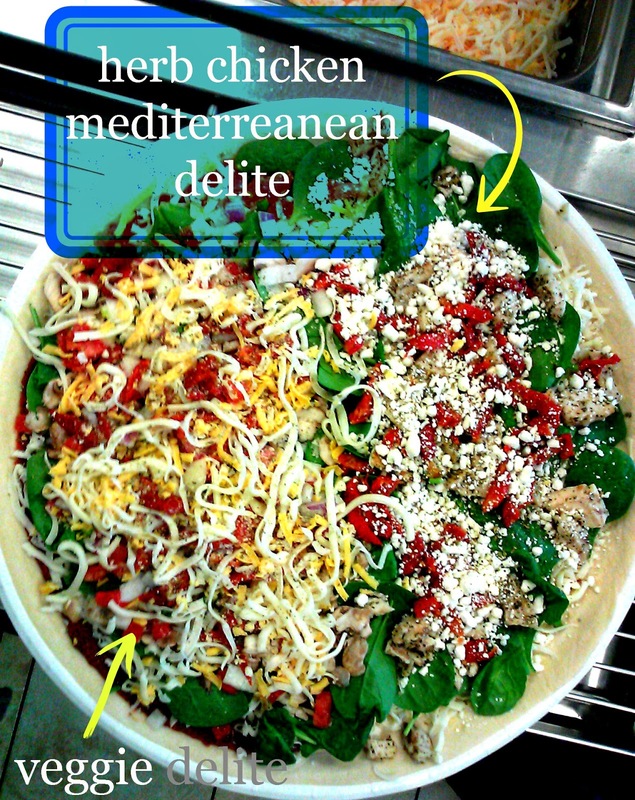 Your little boy or girl can make his or her own pizza and they (or you, Master of Nutrition AKA mom) get to choose the toppings. Did I mention it's $3?? You can buy a ball of dough for $2 and knead it yourself. Or pizza dough already sheeted out on a pizza pan for $3. 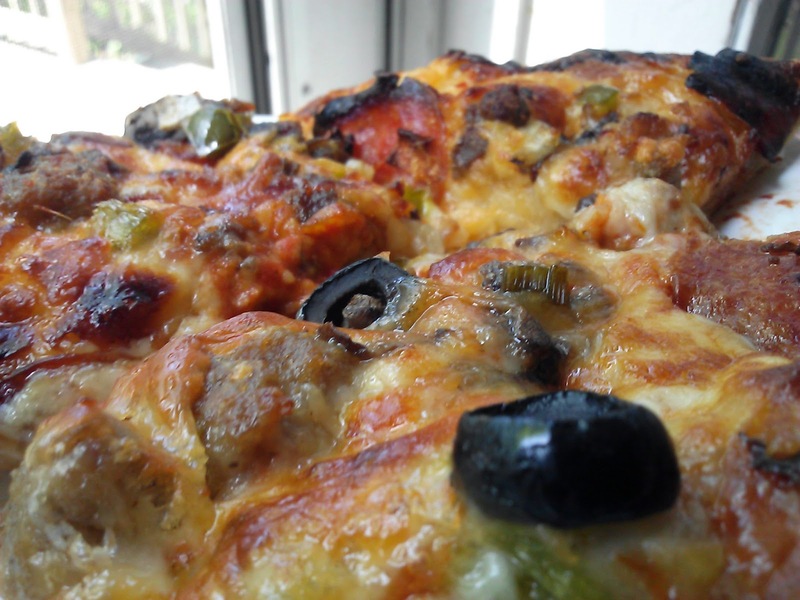 A large thin crust one topping pizza is only $8. For $2 extra, you can make it a family size. YOU CAN EVEN GET HALF AND HALF! Or thirds! Or quarters! Whatever you want to do, you can make it happen on your pizza! 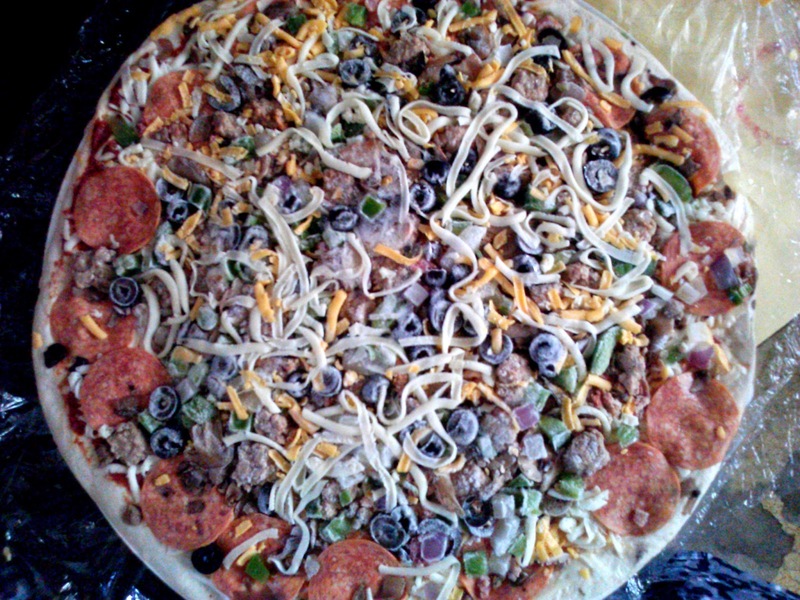 I got Papa's favorite with red sauce, pepperoni, sausage, ground beef, mushrooms, onions, green peppers, black olives and I froze it to see how it would taste the next day. That's right! You can freeze it! Okay, one more time for the cheap seats. 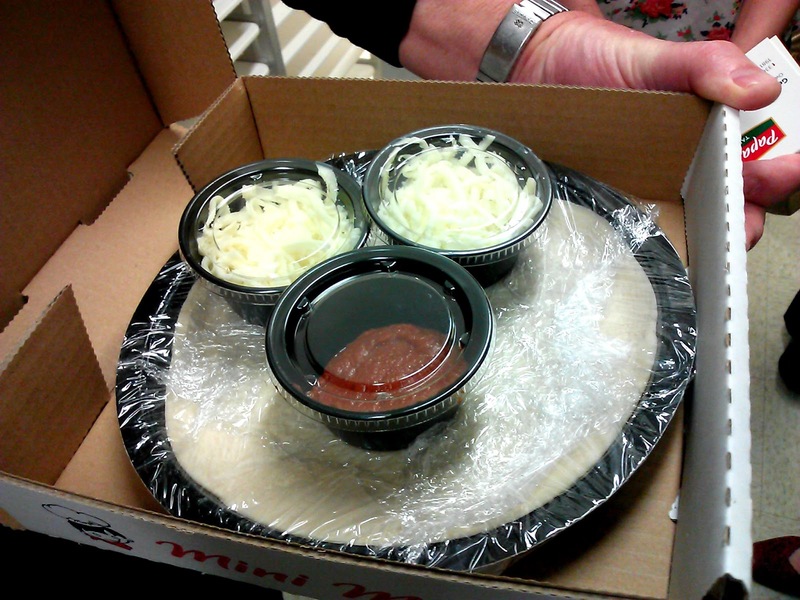 I am absolutely sure I'll be visiting Papa Murphy's in the future. Not only are the ingredients fresh, the pizza is excellent, I can get the most bang for my buck and I can support a local business with local dollars! Mom - Master of Nutrition. Love it. 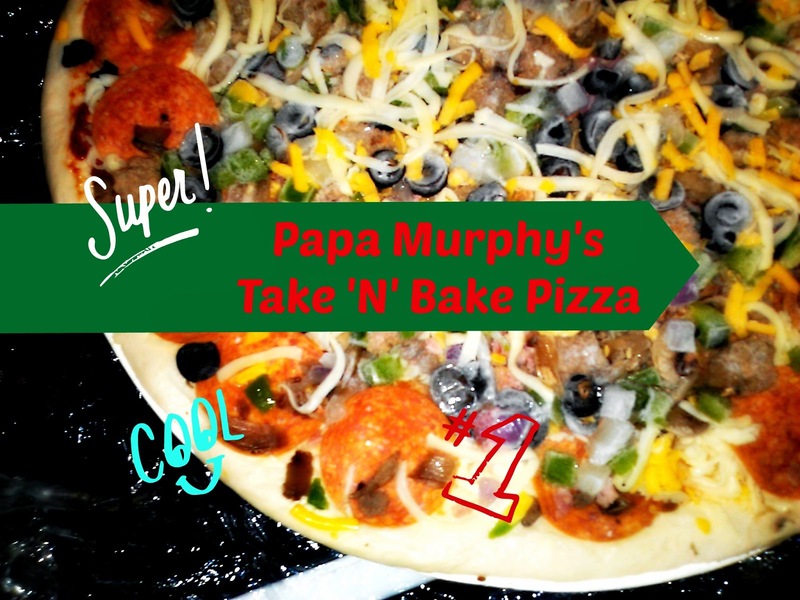 So glad you got to go and I hate that I missed it :( But I am proud to be a Papa Murphy's Mom and we love, love their pizza. Did you try the S'mores pizza? ?